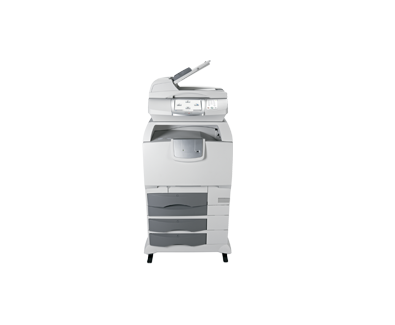 The Lexmark X772e offers you the ideal platform to benefit from Lexmark's industry-leading enterprise workflow solutions – such as distributed capture, electronic document distribution, on-demand forms and many others. Whether embedded or server-based, these solutions help you print less, lower costs, eliminate waste and reduce transaction cycles dramatically! Corporate information is one of your most valuable assets. To ensure all your data and documents stay safe and sound, the Lexmark X772e comes equipped with the most sought-after security features in the industry. Among others, these include SSL data transmission, job-hold expiration, hard-disk encryption, and a new 10-digit numeric pad for increased PIN-code values.